Roland Egger is Chief Executive, Barloworld Motor Retail, Southern Africa. 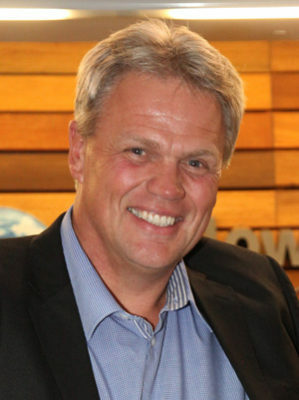 Prior to Barloworld, he held various positions at Volkswagen South Africa, including national franchise operations manager, regional sales and after-sales manager, and dealer training and development manager. He holds a bachelor’s degree with honors in commerce and matriculated from Christian Brothers College. Roland has participated in executive development programs both at VWSA and Barloworld. He was born in Pretoria. When not working, Roland enjoys outdoor hobbies. He is a Fellow of the third class of the Africa Leadership Initiative-South Africa and a member of the Aspen Global Leadership Network.